Thank you for visiting our booth during Downtown Design 2018, the gathering place for designers, architects, and home owners from all over the world. It was a great pleasure to meet with you all! For those who couldn’t make it to Dubai, we are proud to offer you the ability to visit our booth in Virtual Reality or 360 degree walkthrough! The booth represents a “Glass Forest”, a concept created through the proud collaboration of MIRODEC and XAVIER CARTRON PARIS, which showcases the vast versatility of glass as an element utilized in interior design. Please follow this link and enjoy the experience! 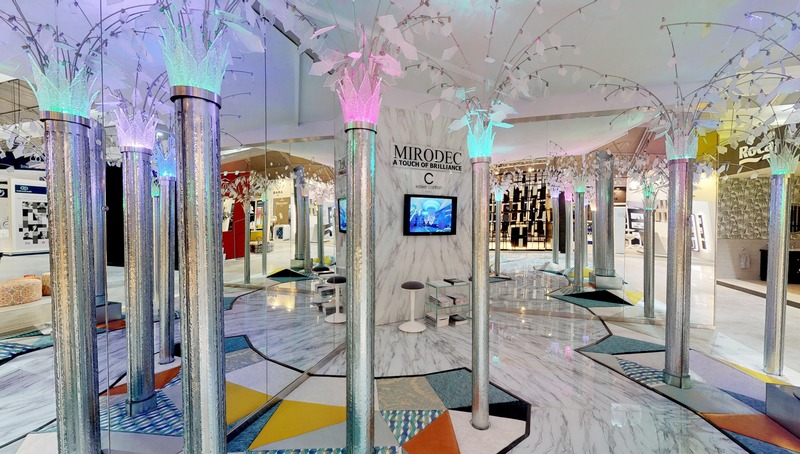 Newer PostMirodec’s products featured in headline announcing the opening of UAE’s Presidential Palace to the public.